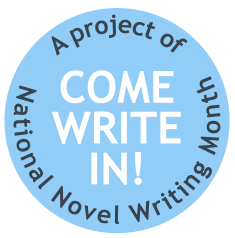 Come write with us for NaNoWriMo! Working on your 50,000 words and need a place to write without distraction? Head to the library and write with other NaNoWriMo participants. Just bring your pencil, computer or notebook, and we'll provide the WiFi, coffee and snacks. Writers of all ages are welcome. National Novel Writing Month began in 1999 with a small group of aspiring writers who decided to motivate each other with an artificially imposed deadline. Today, hundreds of thousands of people around the world participate in NaNoWriMo each November. The Library hosts multiple all ages Write Ins during November - find the one that works for your schedule. Looking for more opportunities to write? The Connection also hosts the Fiction Writers Group who meet every Wednesday evening. Free parking after 4 p.m. and on weekends at the 2100 Crystal Drive garage. Metro: Crystal City.